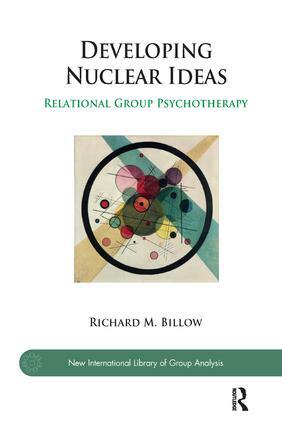 Building and expanding on concepts presented in his previous volumes (Relational Group Psychotherapy: From Basic Assumptions to Passion, and Resistance, Rebellion and Refusal in Groups: The 3Rs), Richard M. Billow presents a coherent and innovative model of group psychotherapy. Developing Nuclear Ideas: Relational Group Psychotherapy offers, in experiential terms and with vivid examples, a theoretical and technical approach to understand and organise dynamic group process and drive it towards satisfying the goal of all therapy, the hunger for emotional truth. By developing nuclear ideas, the therapist and the group itself go about the task of containing and making sense of the perceptions, conceptions, affects, and enactments present in all groups. The volume also addresses the impact of thought-limiting, action-orientated polemic ideas. Integrating contemporary theory with cutting edge technique, the author focuses on the personal nature of the intersubjective process, locating the therapist's experience in the centre of the transformational intensity of group life.